What is keeping you up at night? Stress? Worry? Hormonal changes? An illness? Having supported clients of all ages, from all walks of life, we know every person will have their own bedtime battles to conquer. For this reason, we don’t recommend a blanket solution but work hand-in-hand with you to understand your unique challenges before recommending a particular supplement, homeopathic tincture or nourishing herbal formula. That being said, we do have our favourites. Here are six natural sleep supplements, which have been thoroughly researched by our practitioners and appreciated by sleep-happy clients. 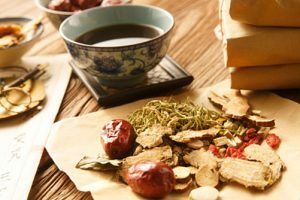 Adaptogens are herbs that help the body cope with prolonged stress. Incorporating four of the most effective adaptogens including Ashwagandha and Lavender, Sereni-Pro™ is designed to promote mental and emotional wellbeing. In particular, clients suffering from tension and fatigue appreciate the relaxing benefits of this supplement to body and mind. Product available in IMI dispensary, or you may buy online. This supplement delivers high potency B vitamins in a form that is best absorbed and utilised by your body. Known to prevent fatigue from prolonged stress, a high potency B complex supplement is also proven to improve mental health and vigour, as well as enhanced cognitive performance during intense mental processing. An alarming 60-70% of Hong Kong residents are magnesium-deficient, according to a recent Government study. Is it any wonder, therefore, that Hong Kong scores low on sleep in regional sleep and wellness surveys? Magnesium deficiency has been associated with increased levels of stress and anxiety – culprits known to sabotage sleep. Tell-tale signs of magnesium deficiency include muscle twitching, cramping, tension headaches, and sugar cravings- all of which can exacerbate sleep issues. Unlike many other forms of magnesium, Vital Nutrients Magnesium (glycinate/malate) is easy to absorb. 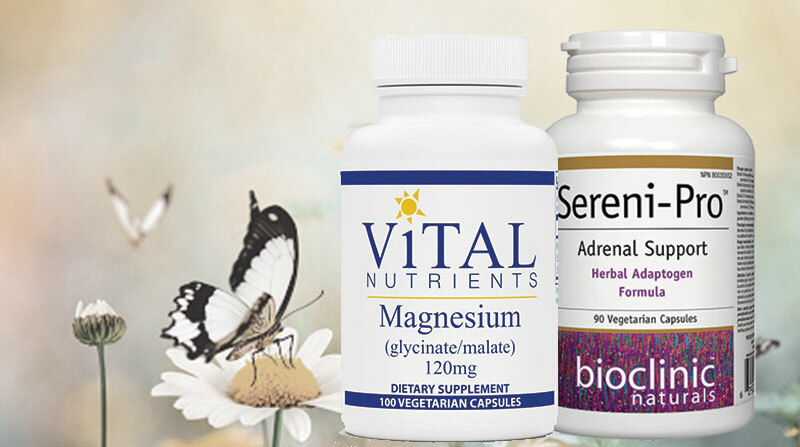 Our clients have reported significant sleep success once they address magnesium deficiencies. A powerhouse of five natural herbs, this formula helps to decrease the stress hormone cortisol that can keep you awake at night. The herbs slowly balance the stress response to return the brain to a state that allows the body to relax and sleep better. In our clinical experience, when used over several weeks, this formula provides relief from waking up too early, thus alleviating stress-related fatigue. Vitamin C is not only important to your immune system, it’s also vital for sleep. Research shows that people who are short on Vitamin C tend to sleep less and wake up more. This supplement is known to improve sleep quality. It can also help to reduce sleep apnea and restless leg syndrome. Can’t sleep because your kids can’t sleep? Omega-3s are proven to help children sleep longer and better, naturally. Formulated to provide a high concentration of essential omega-3 fats EPA and DHA, this pure and gentle lemon-tasting liquid is free from yeast, wheat, gluten, dairy, artificial colourings and preservatives. Absolutely. Clinical-grade and practitioner-recommended, we work hard to source the safest, most effective supplements from around the world, so you don’t have to. Free from contaminants and allergens such as artificial colourings, flavourings and chemical preservatives. Stored in a temperature and humidity-controlled warehouse to protect potency and purity giving you the full range of active ingredients promised on the label. Delivered to our dispensary in a properly maintained airfreight environment. Fortified with government approval and proper labelling according to the Department of Health and Food and Hygiene Department. Which supplement should I be taking? If you’re struggling with insomnia, please reach out to one of our practitioners for personalised advice. Our in-house Dispensary advisors and naturopaths can tell you which supplement is the right one for you. They’ll let you know the dosage and the timing of supplement intake, which is critical to sleep success. Or, they may recommend a powerful herbal or homeopathic tincture, customised to your specific needs. If your insomnia is connected to chronic anxiety or a stressful life event, please connect with one of our psychologists or counsellors. We can help you identify and address the underlying stressors that are impacting your sleep. To book a consultation, call 2523 7121 or connect with us here. Not sure where to start? We offer a free, no-obligation Integral Health Signposting Service. Based on your individual sleep needs, our experienced health advisors will be happy to connect you to the most appropriate practitioner and service.